Need more information about booking Home 1736266 ? 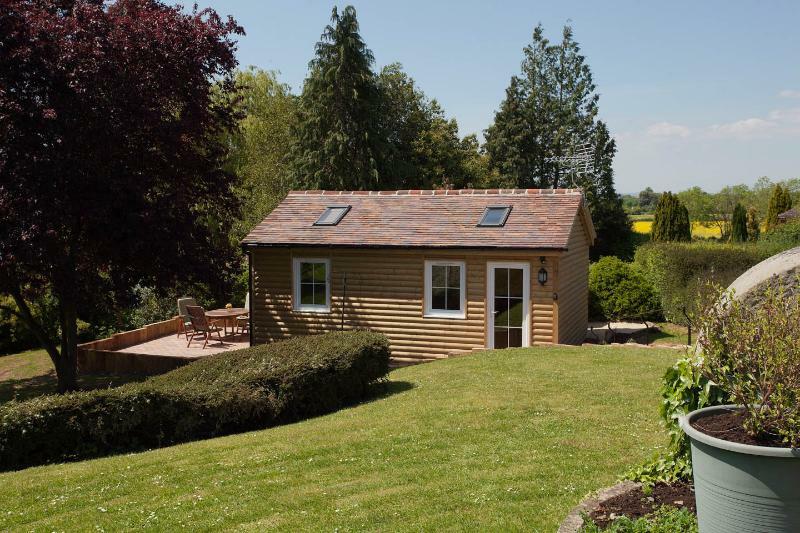 Lovely constructed Log Cabin completed in May 2014. Well equipped kitchenette, oven and hob, fridge, microwave etc. South facing lounge/dining room. Wi-Fi, Digital TV with Free view & DVD player, CD player etc. Weekly bookings from a Friday but we can be flexible if required. This Log cabin has 1 bedroom, 1 bathroom and sleeps 4. It’s been listed on Holiday Lettings since 08 May 2014. Located in Cotswolds, it has 15 reviews with an overall rating of 5. The average weekly rate varies from £361 to £499. I have stayed a number of times in this lovely cabin while studying at Hartpury University. The owners, Clive and Kaeren are very welcoming and go out of their way to make sure you have a comfortable stay. The cabin is super clean and very cosy. It has everything you need, plus milk, cake and flowers. It is situated in an ideal location, is very quiet with stunning gardens and many ducks. I would highly recommend and will definitely be staying again! Owner's reply: Thank you very much for your comments. It was lovely to meet you. We hope to see you again one day. We loved this beautifully maintained, recently built cottage. The pond, gardens, and grounds were stunning, and the myriad ducks and moorhens were wonderful. I could watch them for hours! Clive and Kaeren were terrific hosts, and we enjoyed being their guests. Our only complaint was that there was no wifi in the cottage. We were able to connect up by the big house, but not in the cottage itself. For many people, this might not be a problem, but for anyone who relies heavily on the internet, it's not good. Owner's reply: Wi Fi was available but sometimes the signal is not so good. We overcame this by allowing them use of the conservatory 24 hrs a day where Wi Fi was excellent. We live in the countryside where on occasions Wi Fi signal is not as good as in the city but we do our best to overcome this as we did here.